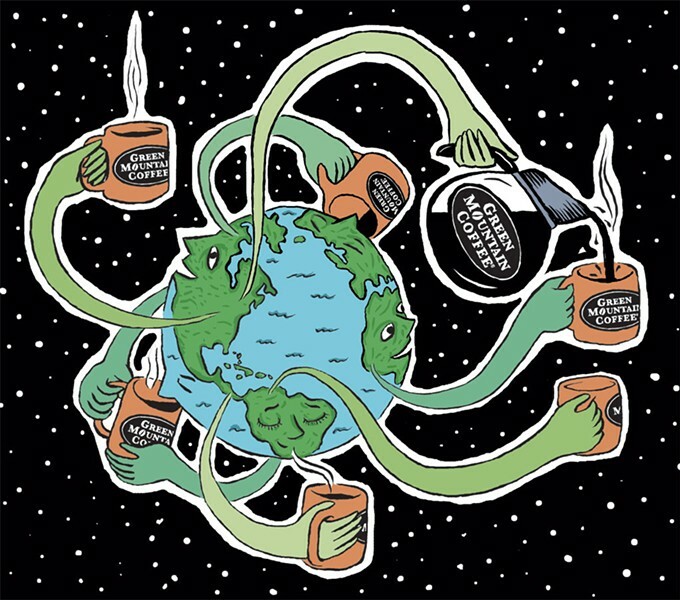 Will the Keurig Green Mountain Cold-Cup Project Heat Up the Local Economy? First came Tennessee, California and Québec. Next up: the United Kingdom, Sweden, Australia and South Korea. 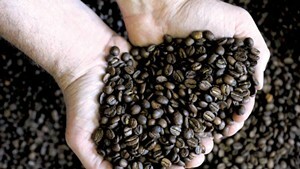 Keurig Green Mountain, as its executives say, is going global. Locals wondering what this means for Vermont should look to the sewer lines for answers. 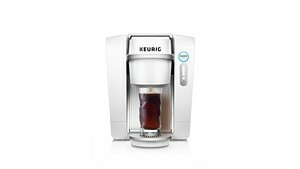 In February, Coca-Cola announced that it was buying a 10 percent stake in the company, formerly known as Green Mountain Coffee Roasters, for $1.25 billion, the first step in a 10-year partnership to distribute Coke drinks in Keurig's future endeavor, the cold-cup design. The new alliance is expected to propel KGM into the international beverage market. "The great, great majority of our business is here in North America," KGM chief executive officer Brian Kelley told stockholders at the annual meeting on March 6. "You will see over the next few years [how we] will change that as we expand globally." When a local company grows, it's usually labeled a success story. But in Vermont — not exactly a haven for multinational corporations — growth spurts of a certain magnitude can stir concern among employees and members of the broader community. "There's always a certain amount of anxiety among Green Mountain employees that as the company gets bigger or more complex, at some point some or all of what they do in Vermont will be located elsewhere," said Ken Belliveau, who serves as Williston's planning director and zoning administrator and sits on Waterbury's planning commission. KGM operates plants in both towns. Will economic benefits from KGM's new partnership flow to the state where it all started? Or might the company decamp for the warmer climes and more conventionally corporate home turf of Atlanta-based Coca-Cola? At this point, KGM isn't saying much about what the Coke partnership will mean locally. But last week, the Williston selectboard approved KGM's unusually large request for additional wastewater capacity. The company, which operates a distribution center on Marshall Avenue, asked to more than triple its output, giving it the potential to use a total of 14,000 gallons per day. And in that request lies a news flash: The product at the heart of the deal with Coca-Cola — cold beverages, sparkling and still, packaged in a single-serve pod — will roll out from Williston first. KGM spokeswoman Sandy Yusen confirmed that the company plans to set up an early production center (EPC) in Williston, where it will perfect the process of churning out cold-cup beverages. The new products are slated to hit retail shelves during fiscal year 2015, which starts at the end of September. Yusen said she couldn't say much beyond that. But according to Frank Cioffi, president of the Greater Burlington Industrial Corporation, the Williston EPC entails a $90 million capital investment — mostly for equipment. And based on a memo from the Williston planning commission to the town manager, KGM expects to hire roughly 120 new positions at the center. The company website currently lists nine Williston-based jobs related to the expansion; the positions range from engineer to maintenance technician. "It's a huge opportunity," Cioffi said. "What this shows me is this company has confidence in its employees here." The state didn't sit idly by, waiting to see if it would get in on the cold-cup boomlet. Within a month of the Coca-Cola announcement, the Vermont Economic Progress Council awarded a million dollars in cash incentives to KGM, contingent on the company meeting undisclosed growth targets. That incentive, according to Fred Kenney, director of the Vermont Employment Growth Incentive (VEGI) program, "is related to the Coca-Cola deal, and we hope the incentive will mean Keurig Green Mountain will consider Vermont for the initial line that will produce the new product." Williston moved quickly, too. Belliveau said KGM officials approached him shortly after the Coca-Cola announcement because they needed to know they could secure sewage capacity before committing to the location. Roughly one month later, the selectboard gave its blessing. The decision wasn't controversial, according to Belliveau — KGM's presence is highly valued by the town — but neither was it taken lightly. Williston, which sends its wastewater to Essex Junction for treatment, is allowed to send approximately one million gallons per day through the system; over the years, all but about 200,000 have been allocated. "Limitations on sewer capacity in Williston is a long story," Belliveau said. "Going back 15 or 20 years, there's always been this struggle around making sure we are going to have sufficient capacity to deal with growth expectations." To put KGM's request in perspective, the company currently pays for about 4,000 gallons of wastewater a day. Its request for an additional 10,000 gallons is roughly equivalent "to the allocation that we need to support new residential development in a single year," said Belliveau. There have been other signs of continued local investment. Town records show that on January 9, 2014, the Waterbury planning commission approved a proposal from KGM to hire 56 new employees and expand sewage and water allocations at its Gauthier Drive facility. Yusen said the company recently set up an EPC in Waterbury, though she declined to specify what was driving workforce growth. Looking back further, in 2012, KGM completed a 350,000-square-foot expansion at its Essex plant. Belliveau's interpretation? "When a company makes that many decisions of that magnitude, it seems to me a pretty significant statement," he said. "They are really kind of cementing themselves to the region." Lisa Gosselin, the state's commissioner of economic development, said Vermont is "a great environment for [KGM] to grow," citing "the access you have to legislators and the access you have to the governor" as among Vermont's strongest selling points. Two other assets, according to Gosselin: the VEGI program and the Vermont Training Program, which partners with companies on workforce development. But as with a town's wastewater capacity, the state's ability to woo big business is limited. VEGI is a good program, according to Cioffi, but is it enough to compete with the cash bigger states might offer? "Probably not," Cioffi conceded. He described KGM as one of the "gazelles" in Vermont's economy — meaning that the company could leap out of state with ease. Sure enough, KGM is looking to open new facilities and has its sights set on the southeastern United States. Though the company isn't disclosing potential locations, it's easy to see the appeal of, say, Atlanta. Auditing giant KPMG released a study last week that proclaimed Atlanta the "least-costly location to do business among the 31 largest U.S. metro areas." Atlanta boasts the lowest effective corporate income-tax rates and the lowest transportation and factory leasing costs, according to the study. Of course, Keurig Green Mountain, which began in the 1980s as a Waitsfield café, shed its parochial status years ago. The company is still headquartered on Coffee Lane in Waterbury, and with its facilities there and in Essex, South Burlington and Williston, it owns or leases more than a million square feet in Vermont. But in fiscal year 2013, KGM netted roughly $4.4 billion in sales. About two-thirds of its 6,300 employees work out of state. And it operates more than two million square feet of facilities elsewhere in the United States and in Canada. Gosselin said she expects Vermont "will continue to benefit" from KGM's in-state presence in the future. But if Keurig Green Mountain does indeed turn out to be a gazelle, she added that the state shouldn't hold a grudge. "I think it is a given that when a company gets to certain size, it needs to go national or international. It's a great success story. My hope is we can really learn from, applaud, encourage and not begrudge that success in any way."